Anaerobic digestion can be an excellent tool to convert waste into renewable energy; so why isn’t everyone using it? 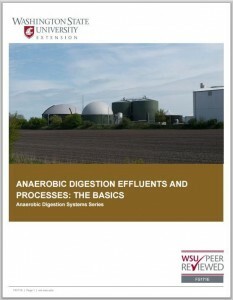 See the linked WSU fact sheet above, “Anaerobic digestion effluents and processes: the basics” for more detailed information. For those of you less familiar with the terminology anaerobic digestion, let me first introduce this process. Anaerobic digestion (AD) is one option to treat concentrated organic waste streams, such as sewage sludge, manure, and food processing waste. The process is driven by anaerobic microorganisms, which means that microbes decompose the waste material while growing and reproducing in an environment void of oxygen. These organisms will die if oxygen is present. Anaerobic digestion is like composting, but instead of maintaining a good aerobic (with oxygen) compost pile, the organic waste is put in a completely sealed container void of oxygen (for more detail see the new WSU Fact Sheet: Mitchell et al., 2015). One fundamental difference between aerobic and anaerobic waste treatment is that methane is produced during anaerobic digestion. When anaerobic digestion happens naturally in the environment, methane escapes into the atmosphere. The benefit of engineered anaerobic digesters is that they are designed to capture, store, and use methane for renewable energy. In this case, methane is used as an energy source rather than being released into the atmosphere. The AD reactor types are similar to other waste treatment processes, but more specific process conditions are needed. In addition to no oxygen and constant temperature typically near 95°F, the reactor needs good alkalinity, neutral pH, low inhibitor concentration (e.g., ammonia), effective mixing, and consistent organic loading rate. Because it takes time for the microbes to acclimate to some organic wastes, it may also be important to keep the waste stream as consistent as possible. What makes anaerobic digestion such a great waste management tool? 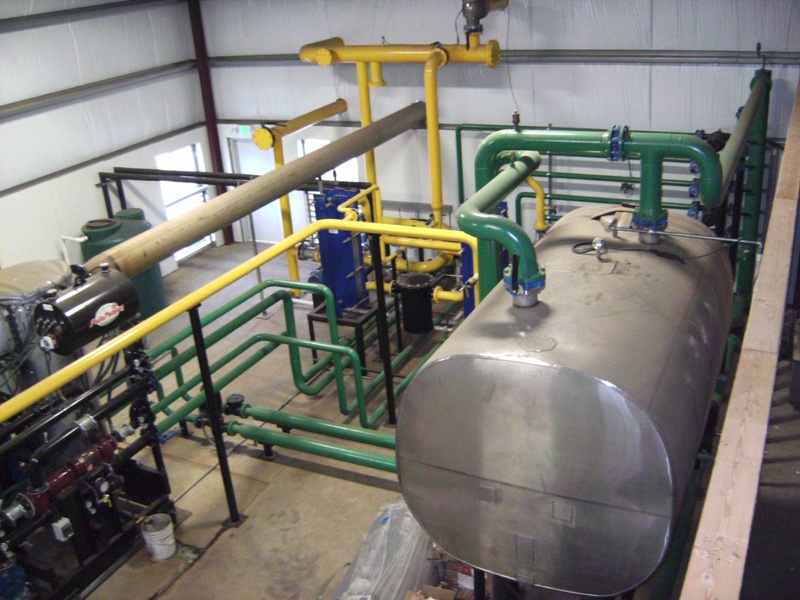 Even though the AD process needs to be heated, heating the digester is typically not a problem because the methane is captured and burned to make recovered heat. When excess methane is produced, there are other options such as producing electricity or purifying the methane and selling it as a natural gas. The system is completely closed, so there is control over greenhouse gas emissions. In contrast, most composting systems do not have complete control of greenhouse gas emissions. Anaerobic digestion can often do a better job of degrading more putrescent materials compared to composting, as composting these materials is prone to developing uncontrolled anaerobic conditions. The digested slurry often has a high nitrogen and phosphorus content, so it is commonly used as a fertilizer. The AD process also turns organic waste into more stable organic matter that can be used as a soil amendment. 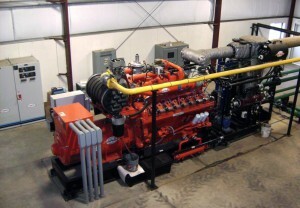 The major limitation to implementing AD is low prices for the produced methane, which in connection with considerable capital costs, can lead to low returns on investment for projects. Capital costs can be significant, as most AD systems often require efficient pre- and post-treatment processes. Interconnections to pipelines as well as regulatory permitting can also add considerable costs. Unfortunately, incentives in the form of grants and carbon credits are often not available (Galinato et al., 2015). 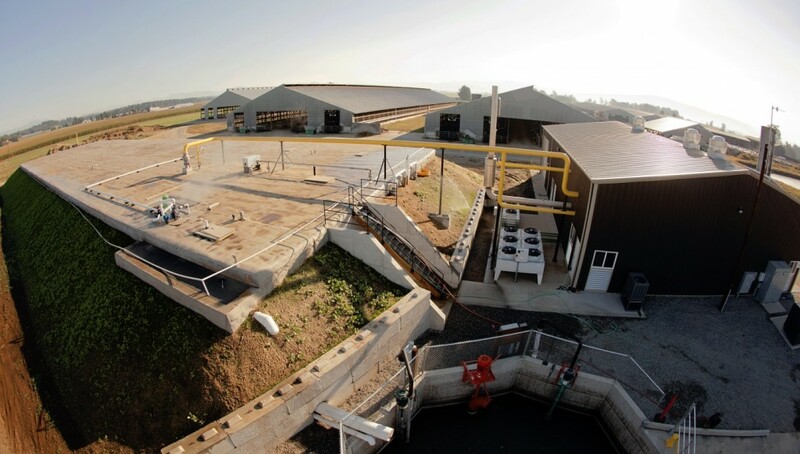 Historically, digesters were put in place to save money by lowering the cost of municipal wastewater treatment sludge handling, and upgrading digester products (liquid, solid, and gaseous products) was not a priority. However, in recent years, municipal wastewater treatment plants are aiming to become energy neutral as well as produce clean reclaimed water and quality biosolids. This shift in municipal waste management goals opens doors for more innovative renewable energy projects within municipalities. For agricultural and industrial facilities that could benefit from AD like animal farms and food processing plants, the low return on investment for application of AD and associated new technologies is currently limiting its use. AD may need to be coupled with pre-treatment and post-treatment processes to gain additional revenue from methane, fertilizers, and fiber. Co-digestion (using multiple sources of organic waste) may be necessary to process as much organic waste as possible to produce a large amount of product and supply much needed tipping fees for improvement of economic bottom lines; however, the uncertainty of waste quality and consistency from outside sources is a concern (Yorgey et al., 2011; Galinato et al., 2015; Mitchell et al., 2015). What are the scenarios for which digesters are best suited? Presently, digesters are best suited for large facilities producing a lot of organic waste (municipal, industrial, and agricultural). The more waste that is processed, the more products that can be produced and sold effectively. Recently, though, scaled down AD systems with reduced capital cost and creative revenue streams are emerging. Digesters are also best suited for organic waste streams that are consistent and reliable. This can sometimes be challenging, so cost-effective ways to collect, homogenize, store and transport organic waste streams from decentralized sites to centralized AD facilities is being developed. The organic waste must not contain a lot of inert solids such as soil or plastic debris. In addition, the organic waste must not be contaminated with heavy metals, toxic solvents, or pesticides. Digesters are well suited to be combined and synergized with existing facilities. For example, AD can supply needed heat, electricity, or fuel for offices, greenhouse, barns, industrial plants, etc. There is a lot of potential for AD systems, especially when coupled with other processes that enhance AD itself (pre-treatment) or that increase the value of the final products (post-treatment). Some of the toughest questions being addressed are how to economically purify and make market-ready the produced methane, fiber, nitrogen, phosphorus, and stable organic matter. The need for these products exists, but the AD industry is still in the research and development stage of figuring out how to lower the cost of the system as well as figuring out better ways to make quality products. The technical developments must occur in concert with policy, financing, and business model developments. The fact sheet “Anaerobic digestion effluents and processes: the basics” provides a much deeper look at these questions and more. It is one of several new publications in the Anaerobic Digestion Systems Series available HERE. 2 thoughts on "Anaerobic digestion can be an excellent tool to convert waste into renewable energy; so why isn’t everyone using it?" Are you still working on Digesters??? I am and I own a Garbage business that shipped 100,000 of waste to a landfill, and I am sick of it. I am in Ferndale, WA and want to build a Foodwaste, bulkwaste digester and I have a patent pending. Larry, Thanks for contacting us about this topic. I have emailed you and will be happy to discuss your interest in this area.